The fourth book in the Tales of the High Court is officially up for pre-order (https://lessthanthreepress.com/books/index.php?main_page=product_bookx_info&cPath=92&products_id=1690) . Like the last book, this one brings in a foreign country. Unlike all the others, this one does not focus on nobility, but on soldiers and a certain secretary. I hope you enjoy it when it comes out in November! My patreon is up and running! For those not already familiar, the lowest tier is enjoying the newest Anti-Heroes book, about Byron and Leland. The second-lowest tier gets to read a chapter of Dance in the Storm once a month. And the other tiers have equally awesome offerings. Check it out if you're inclined (https://www.patreon.com/meganderr) ! I've put the blurbs below! Leland has always lived a life apart, never willing to get too close to anyone for fear of what might happen should the wrong people learn just how powerful he really is. Then his own reputation led to a friend paying the price, and he'll do anything to get her back. Even if it means breaking all his rules to align himself with exactly the kind of troublemakers he'd always avoided as strenuously as he's avoided the G.O.D. Even if it means sharing space with Byron Valentine, the beautiful, mysterious leader of the group fighting to destroy the G.O.D., a man who makes Leland wish he could have the normal life his own abilities have always denied him. Sable Brennus, Prince of Storms, is not a demon to be trifled with; he has endured hell, centuries trapped in a mirror, and far worse at the hands of overreaching humans who learned too late the price of their arrogance. SHe commands an immense, powerful territory, has the greatest collection of grimoires in the world, and his consort, Christian, is a half-ghost witch that few are stupid enough to cross. But Christian is also his greatest weakness, and when he is kidnapped Sable is prepared to tear the whole world apart to find him—especially when the price of his return is one of Sable's most dangerous Grimoire's, a book that contains a demon which devours whoever opens it, a demon that is one of the most powerful in existence. 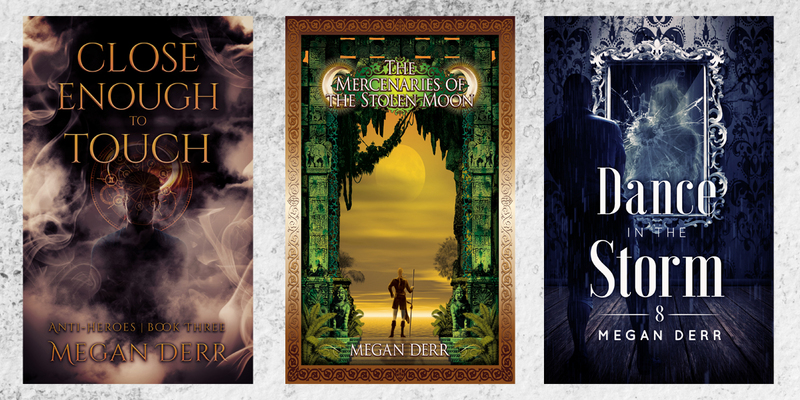 I am also, because I can, giving a shout-out to my marvelous wife and her recent releases - two are rereleases of fairytales she wrote for Fairytales Slashed a few years ago. 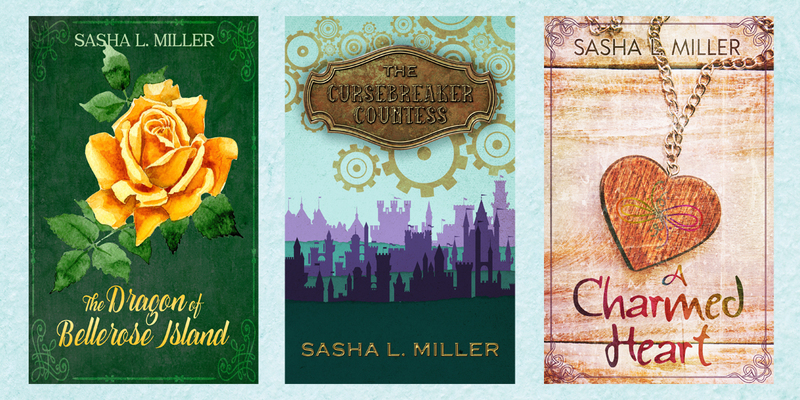 The other is brand new, about a sleeping princess, and the countess she falls in love with! And that's all I have for this month. Everyone have a good September!